In the house of Helios, god of the sun and mightiest of the Titans, a daughter is born. But Circe is a strange child--not powerful, like her father, nor viciously alluring like her mother. Turning to the world of mortals for companionship, she discovers that she does possess power--the power of witchcraft, which can transform rivals into monsters and menace the gods themselves. 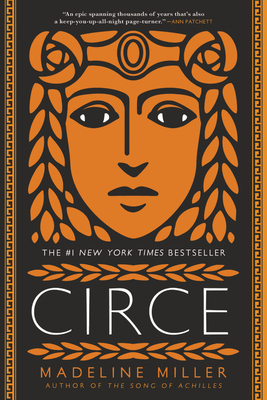 With unforgettably vivid characters, mesmerizing language and page-turning suspense, Circe is a triumph of storytelling, an intoxicating epic of family rivalry, palace intrigue, love and loss, as well as a celebration of indomitable female strength in a man's world. Named one of the 'Best Books of 2018' by NPR, The Washington Post, Buzzfeed, People, Time, Amazon, Entertainment Weekly, Bustle, Newsweek, the A.V. Club, Christian Science Monitor, Southern Living, and Refinery 29.
inhabits the spaces in between." rock like her uncle, Prometheus, getting her liver pecked out each day." episode of House of Cards."